Spacious home in Byron Nelson HS neighborhood of Roanoke. Enjoy watching the world go by from your covered front porch, or watching birds in the private, back yard with 2 open patios, and view of green, wooded area. 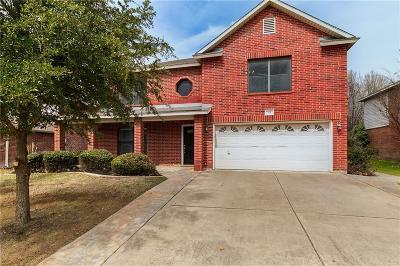 Upgraded kitchen with granite and brick accents and huge pantry is open to the family room, complete with cozy fireplace. The large master suite has a sitting area just right for office or nursery space, double vanities, sep. shower and tub. Game room up, 2 dining, great floor plan! Roof Aug. 2012.